Brazil's currency and stock prices soared Thursday on optimism that a $30 billion aid package from the International Monetary Fund will calm skittish investors, although the underlying problems that fed market anxieties haven't gone away. European and Canadian engineering companies, four of them British, are alleged to have paid an official about 3m for contracts for one of the continent's biggest engineering projects, the 1bn construction of huge dams to supply water and electricity to South Africa, which entirely surrounds the mountainous kingdom. 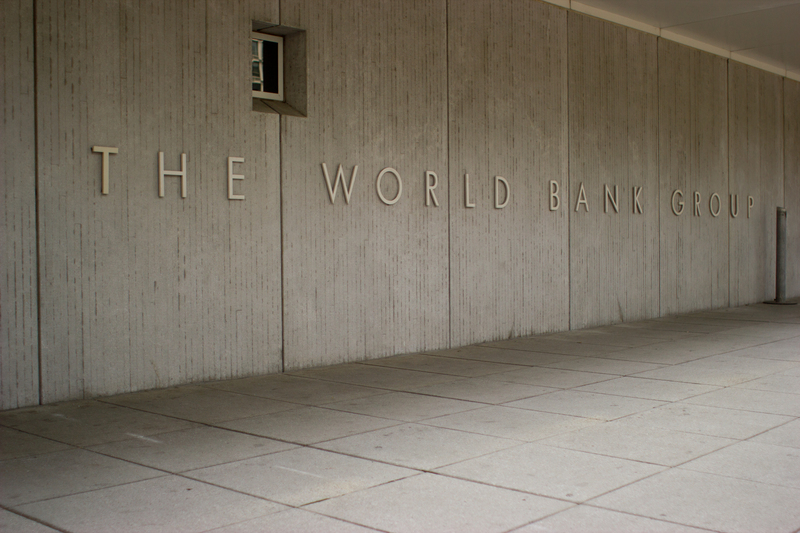 The World Bank has withheld the findings of an inquiry into alleged mismanagement of bank funds in the Democratic Republic of Congo, raising fresh questions about the anti-corruption strategy of Paul Wolfowitz, the bank's president. Their target in Washington is the spring meetings of the Bank and International Monetary Fund, which begin next Sunday. The protest campaign against the sister institutions begins tomorrow with the launch an international campaign to persuade corporate investors not to buy World Bank bonds. WASHINGTON, DC -- A coalition of development and environmental advocates today said a new report by a Congressionally appointed commission is a welcome acknowledgement that the International Monetary Fund (IMF) and World Bank Group are largely failing in their mission to address world poverty and economic stability, and need major overhaul. It's not just that the police didn't get the joke, it's that they don't get that they the new era of political protest, one adapted to our post-modern times. There was no one person or group who could call off "their people," because the tens of thousands who came out to protest the Free Trade Area of the Americas are part of a movement that doesn't have a leader, a center, or even an agreed-upon name. By joining the international boycott of World Bank-issued bonds, the City of San Francisco is continuing its legacy of supporting social and environmental justice including its support for selective purchase campaigns against Apartheid South Africa and the military junta in Burma. Thousands gather in Porto Alegre, Brazil to look towards a future in which corporations no longer rule.